Apple posts record third quarter results, but shares drop | What Hi-Fi? Once again Apple has broken records with third quarter revenues of $49.6bn and a net profit of $10.7bn, selling 47.5 million iPhones. There's something surreal about the way the financial world reacts to Apple's results. Just look at those figures: iPhone revenues are up 59 per cent over the same period last year (April-June), quarterly revenues are up from $37.4bn to $49.6bn and net profit is up from $7.7bn to $10.7bn. Those are eye-watering results by most company's standards, but still the shares dipped after they were announced. Analysts were apparently disappointed not to get a breakdown on how the Apple Watch is selling, some speculating that it is not proving as popular as expected. Still, the iPhone remains the cornerstone of Apple's business with sales in China doubling over last year, and those 47.5 million iPhones sold generating $31.4bn of revenue. The launch of the larger iPhone 6 and iPhone 6 Plus has seen sales of iPads decline by 18 per cent to 10.9 million. Macintosh sales were up nine per cent to 4.8 million units. "We had an amazing quarter with iPhone revenue up 59 per cent, strong sales of Mac, all-time record revenue from services, driven by the App Store, and a great start for Apple Watch," says Apple's CEO Tim Cook. He has suggested that the Apple Watch is already generating sales of $1bn. 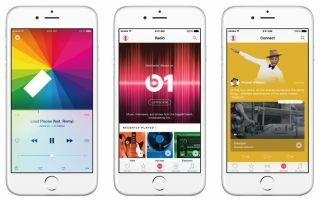 It's too early to measure the impact of Apple Music, which only launched earlier this month and is currently on offer for a free three-month trial. Overall iPhone sales accounted for 63 per cent of sales revenues during the quarter, iPad for nine per cent and 'other categories' (which includes iPod, Apple TV, Beats headphones and the Watch) five per cent. Apple recently unveiled a new iPod Touch with up to 128GB storage in a bid to halt declining sales.